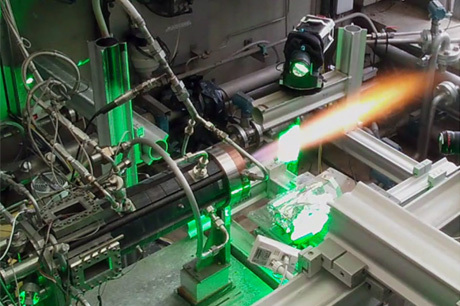 Given that combustion involves fuels in which chemical energy is very dense and is able to deliver a very high power/volume ratio, this mode of energy conversion, despite its negative aspects, will remain unavoidable for aerospace propulsion in the long term. One of its negative aspects relates to the conversion into kinetic energy of the heat released by combustion, which yields a thermodynamical efficiency that is necessarily much less than one. The improvement of this efficiency is achieved by increasing the pressure and temperature, which leads to increasingly tougher operating conditions in combustion chambers. Other issues are combustion instabilities, which compromise safety, load comfort and engine lifespan, as well as CO2 and miscellaneous pollutant emissions, combustion noise and ignition or re-ignition during flight. In order to tackle all of these points it is necessary to fully understand the interaction between the many complex physical phenomena involved in combustion systems: turbulence, chemical kinetics, multiphase flow behavior, heat and species diffusion, heat transfer to the walls, radiative transfer and acoustics. This difficult task requires vigorous research activity to be incessantly pursued. This issue of AerospaceLab is aimed at giving the reader an idea of the large field of research in that domain, including works ranging from experimental combustion to physical modelling and numerical simulation of combustion. It is also aimed at convincing the reader that these works are complementary with each other.